- Each item will be checked by our QC Colleague, so the items you get will be without defects. - No German VAT on the products. - Important! Just order the items you want over the onlineshop in US Dollar - rest is done by us! Additional information following is just for your knowledge! 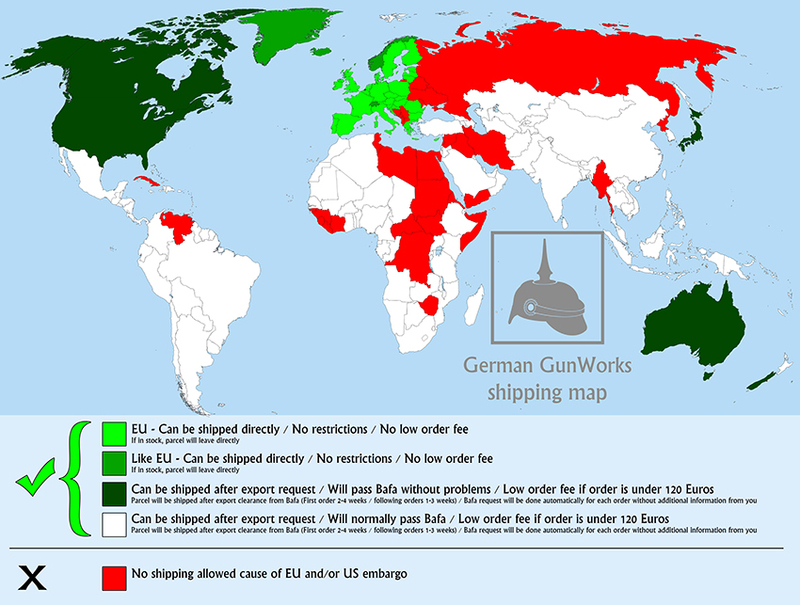 - We need to request an export permission from Bafa (German ITAR) - which will regulary pass the check without problems. A Bafa account will be created automatically for you after placing an order (No additional informations necessary). The request will take 2-4 weeks till we get clearance.